Moses Mendelssohn 1729-86 was the leading Jewish thinker of the German Enlightenment and the founder of modern Jewish philosophy. 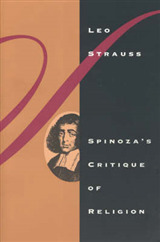 His writings, especially his attempt during the Pantheism Controversy to defend the philosophical legacies of Spinoza and Leibniz against F. H. Jacobi's philosophy of faith, captured the attention of a young Leo Strauss and played a critical role in the development of his thought on one of the fundamental themes of his life's work: the conflicting demands of reason and revelation. 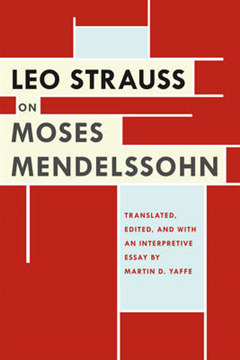 "Leo Strauss on Moses Mendelssohn" is a superbly annotated translation of ten introductions written by Strauss to a multivolume critical edition of Mendelssohn's work. Commissioned in Weimar Germany in the 1920s, the project was suppressed and nearly destroyed during Nazi rule and was not revived until the 1960s. In addition to Strauss' introductions, Martin D. Yaffe has translated various editorial annotations Strauss makes on key passages in Mendelssohn's texts. 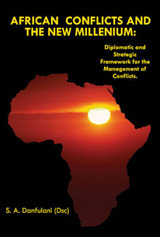 Yaffe has also contributed an extensive interpretive essay that both analyzes the introductions on their own terms and discusses what Strauss writes elsewhere about the broader themes broached in his Mendelssohnian studies. 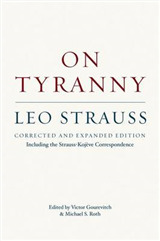 "Strauss' critique of Mendelssohn" represents one of the largest bodies of work by the young Strauss on a single thinker to be made available in English. It illuminates not only a formerly obscure phase in the emergence of his thought but also a critical moment in the history of the German Enlightenment.